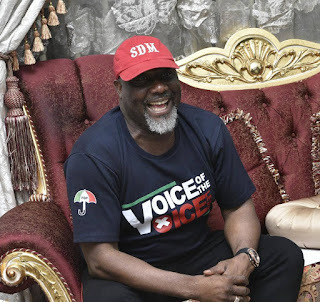 Yesterday, Senator Dino Melaye shared a photo of himself and shared a caption which compares himself with the Scr*tum of a ram. Today, he shared another one, with him laughing and captioned it "When you have God! Na laugh you go dey laugh"